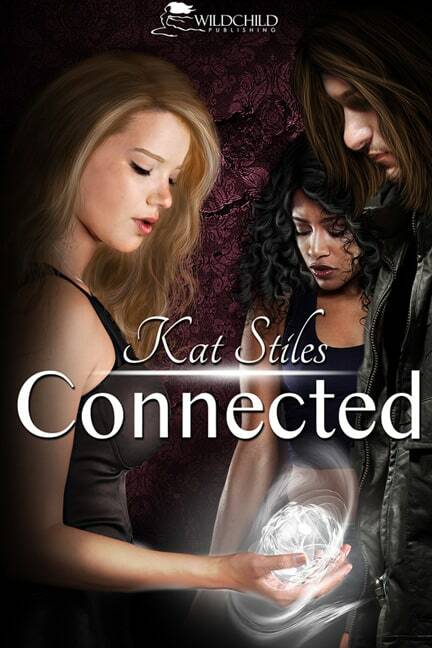 Connected is on sale now! Somehow I thought I would know when my life was in mortal danger. I’m not talking spidey sense or anything, just some kind of clue something bad is about to happen. I guess I got the idea from the movies. Real life, I found, is very different. Here’s the thing: my hometown of Cannondale is as far from interesting as it comes. The picture of central Texas surburbia, it’s a quiet little city where nothing happens, apart from an occasional trampling at the outlet mall when the Coach store has a clearance sale. The kind of place that feels safe to walk around at night, especially in the cookie cutter middle-class subdivision that was my neighborhood. My walk went undisturbed until I heard the sound of a thump, thump, thump, followed by a long buzz… It took me a second to figure out the noise was rap music, trying to escape out a car window. Another joyride, I thought. Then the tires screeched. I whipped my head around out of instinct, but all I could see were two headlights headed straight for me. Frozen to the spot, my eyes snapped shut. As if that would in some way stop it. And in the three seconds before the car rammed into me, my only thought was whether or not it would hit me hard enough to get me out of school tomorrow. A sick crunching noise sounded when my feet left the ground, and I caught some air before falling back down with a thud. The strange thing was the absence of any pain. What did register was the pounding of my heart, more from surprise than the impact of the car. As I lay on the ground, motionless, I heard a car door slam, followed by footsteps. I couldn’t get my eyes to open. God, am I really hurt? “She’s fine, she’s not even bleeding,” a different voice said, right when the other guy heaved. The smell of beer mixed with half-digested food filled my nose. With all my might, I tried to lift my arm. Nothing. Why can’t I feel anything? My heart began to race. “I don’t know her.” A shaking hand pushed the hair away from my face, but still my eyes refused to open. It was then the pain set in. My thighs burned, a fire consuming my legs. I tried to scream, but my lips wouldn’t budge. Am I paralyzed? A wave of heat flashed through me like a current, awakening every little nerve ending. My body convulsed while it passed through, but it didn’t hurt—it was sorta like the prickly feeling of a foot falling asleep, before the tingling turns to pain. Then a glimmer of the richest purple I’d ever seen appeared, spiraling beneath my closed eyelids. “We can’t leave her… What if she’s paralyzed? Or brain dead?” Footsteps paced back and forth in front of me. The tingling concentrated in my legs, amplifying the warmth. What’s happening to me? Am I…dying? What do I do now? I still couldn’t move or speak. My legs grew hotter, while at the same time the pain started to subside. Is this what it feels like to die? No, it can’t be… I’m not ready. A lump formed in my throat as I waited for that ominous white light all those near-death survivors talk about. But it never came. A car door opened, just as a dog barked in the distance. Then the engine fired to life: a throaty, guttural outburst. The dog barked even louder, as if to answer it. The heat surged through my body a final time, and my temperature returned to normal. At first, only a couple of fingers moved, and then my control returned back all at once. My eyes slowly flickered open. “I’m sorry,” whispered the boy who I assumed was the driver. It was all so hazy, his face was nothing but two black holes against a white mask. Even after rubbing my eyes, everything still appeared blurry. Was that a red car? Definitely something sporty from the sound of the engine. They peeled out, leaving behind the smell of burnt rubber and a horrible screeching sound ringing in my ears again. My eyes finally adjusted, and I saw an older woman approaching. Her beagle trotted up and licked my hand. “I’m fine,” I answered without thinking. But when I made it to my feet and brushed myself off, I discovered it wasn’t a lie. The pain was completely gone.